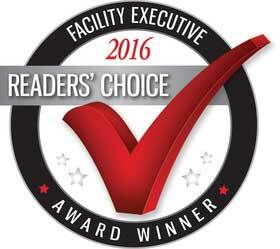 Subscribers to Facility Executive magazine awarded Rain Bird a 2016 Readers’ Choice Award in the water management category. To determine this year’s winners, the publication’s editors sent out a survey asking readers to identify which companies they prefer when it comes to product aesthetics, reliability, value and customer service. Facility Executive, a trade publication written and edited for corporate facility executives in all industry and service sectors, has hosted its Readers’ Choice Awards program every year since 1993.